Synopsis: A valet (Robert Sheehan) develops a clever scam to burglarize the houses of rich customers. 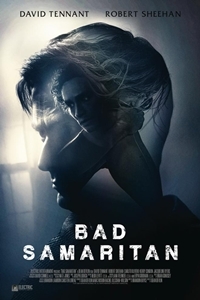 Things go smoothly until he robs the wrong customer (David Tennant), and discovers a woman being held captive in his home. Afraid of going to prison, he leaves the woman there and makes a call to the police, who find nothing when they investigate. Now, the valet must endure the wrath of the kidnapper who seeks revenge on him, all while desperately trying to find and rescue the captive woman he left behind.